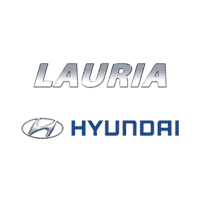 Lauria Hyundai has proudly served Port Hope, Cobourg, and the entire Northumberland Region since 1984. As a family business with deep roots in the area, we take pride in helping our friends and neighbors wherever possible. Commitment to the community is a priority at Lauria Hyundai and we have enjoyed wonderful partnerships with many different organizations over the years. We wanted to take this opportunity to show our support to the many different groups and encourage you to visit their websites to learn more about these great organizations! With the purchase of every Used or New vehicle, Lauria Hyundai is proud to make a donation to the Northumberland Fare Share Food Bank. Please join us in supporting this very worthy cause which helps countless families in the Port Hope and Cobourg areas.